One for everything. It has been quite a while since Samsung has upgraded its premium tablet. We were therefore eager to see how the new device, which is equipped with a lot of features and even the S Pen, performs. The tablet can convince in our review, but Samsung cannot keep its premium promise in all areas. 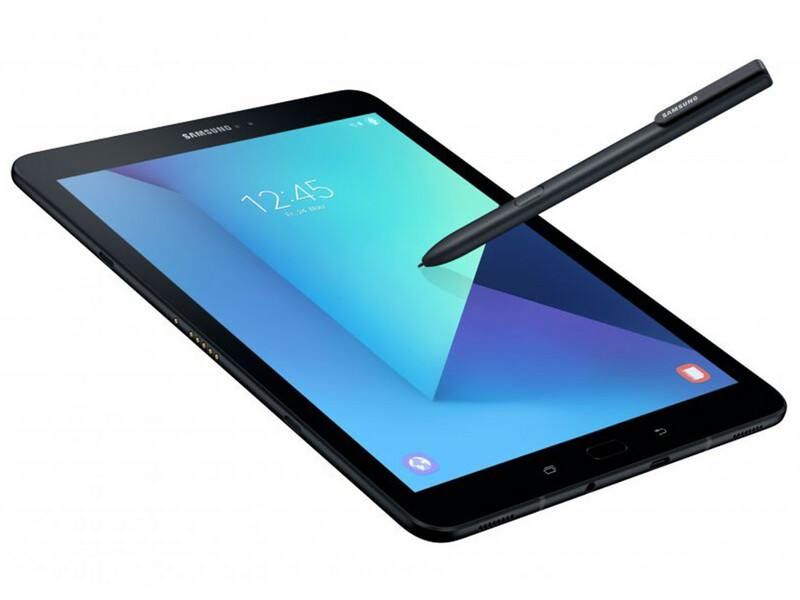 Model: The Samsung Galaxy Tab S3 SM-T825 is a tablet that is good-looking, fast and has a gorgeous screen. Like most Samsung devices, it uses the AMOLED technology, which allows for much richer colors, deeper blacks and a more immersive screen for bingeing on media. This is particularly good news for users of streaming services like Netflix and Amazon Video. The tablet packs the same 2048 x 1536 resolution as the Tab S2, but it’s now HDR-enabled. HDR (high dynamic range) gives much greater peak brightness, with blacks appearing deeper and more natural as a result. The Samsung Galaxy Tab S3 is a bit thicker compared to its predecessor, but still extremely slim at just 6 mm. The glass rear is very susceptible to fingerprints but looks nice when it is clean. The Tab S3 is very sturdy, despite its slim construction and the build quality was very good. The small camera bump on the rear protects the lens. The capacitive touchscreen of the Samsung Galaxy Tab S3 is protected by Corning Gorilla Glass 4. It provides very good gliding capabilities and is both responsive as well as precise. The display supports inputs via Samsung's S Pen, which was developed in cooperation with Wacom. It is also compatible with other Samsung devices. It does not have to be charged and is secure and comfortable in the hand with a diameter of 9.4 mm. However, it cannot be stored inside the case anymore. The Qualcomm Snapdragon 820 inside the Samsung Galaxy Tab S3 is not the latest high-end SoC anymore, but the performance is still good. The graphics adapter Adreno 530 shares the designation with the GPU from the 821, but the clocks are slightly lower. The components are rounded off by 4 GB of RAM. As for the rear camera, it’s got a 13 MP sensor, a lens with a f/1.9 aperture and a flash. The media experience is made even better thanks to four speakers. There are two on the bottom and two on the top, and they’re tuned by the audio gurus at AKG. They’re decent speakers, with plenty of volume and the positioning means noise will come out in all directions. To further enhance the gaming experience of the tablet, the Galaxy Game Launcher has been optimised for the Galaxy Tab S3 (LTE) and includes an energy-saving mode as well as the possibility to turn off notifications in the game. With the breathtaking graphics performance of the Vulkan API, there is nothing to prevent a persistent game play. As for the battery, the Tab S3 has a slightly conservative 6000 mAh cell inside. Samsung has included one of its USB-C adaptive fast chargers in the box, and it charges the tablet in around two hours – about half the time it takes to fully charge an iPad. 81.01%: This rating should be considered to be average. This is because the proportion of notebooks which have a higher rating is approximately equal to the proportion which have a lower rating.